Shown are pictures from a homeowner whose husband had a cookout while she was out of town. Someone had a little too much wine and got sick. Red wine (tannins) and throw up (stomach acids) can be very difficult to clean. As you see we knocked it out. We not only help clean carpets but in this case helped with keeping the husband out of trouble! 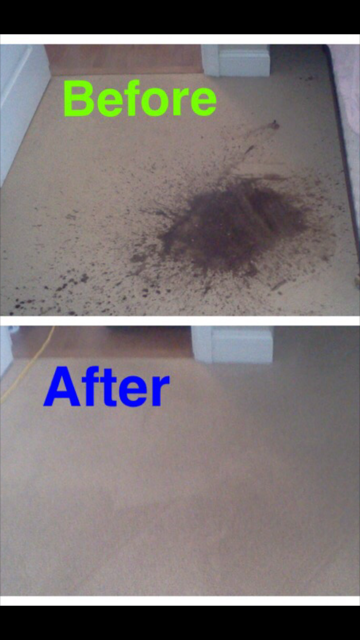 Should you have accidents in your home give us a call at (336) 558-7949 to experience The Deep Clean Difference!